According to the Occupational Safety and Health Administration (OSHA), Twin Pines Construction Inc./Teles Construction Inc. has been slapped with nearly $200,000 in fines for the discovery or what safety experts call repeat, other-than-serious and serious violations. OSHA has determined that this company has repeatedly failed to protect its workers from a work-related accident in Massachusetts and elsewhere in New England. These fines come after the Administration performed a routine safety inspection at one of its Portsmouth work sites. The company, from Everett, Massachusetts, has been accused of alleged electrical, scaffolding and fall hazards. Our Boston workers compensation attorneys understand that employers have a legal responsibility to protect all workers from injury on the job. There are federal standards a work site must meet to prevent work-related injury. If you’ve been exposed to work-related hazards or have been injured on the job, you’re urged to contact an experienced attorney to help you to fight for you rights. A lawyer can help you to determine who was at fault for your accident and help you to get the compensation you deserve. These can be complex claims and oftentimes require the help of a knowledgeable attorney. The recent inspection on the Everett company was launched after an employee from OSHA witnessed Twin Pines employees working on the fifth-floor level of a building without the proper fall protection. The company was working construction on that building on Islington Street. Once the inspection was conducted, OSHA concluded that employers neglected to provide any sort of adequate fall protection for those working on scaffolds who were working nearly 60 feet in the air. 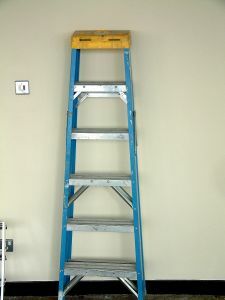 The company was also cited for using a 6-foot ladder to get to a 10-foot-high surface. Workers also noted to be working among burn and electrical shock hazards. From 2008 to 2010, the company had already been cited for such hazards at some of its work projects in Rhode Island, Massachusetts and Maine. For this reason, more than $150,000 of the new fines were the result of repeat violations. “The sizable fines proposed here reflect both the gravity of these hazards and this employer’s significant and continuing history of safety violations,” said Rosemarie Ohar, OSHA area director. The other $50,000 in fines were the result of eight more serious violations in which the company failed to require employees with eye protection for nail gun use, keeping the work sites free of unnecessary construction debris, failing to cover dangerous holes, neglecting to fix previous scaffolding hazards, failing to properly inspect scaffolds and improperly erected scaffolding. The last $3,500 in fines was issued for failing to provide illness and injury logs to the Administration. The company was 15 days to either contest the findings or meet with an OSHA director. Work-related accidents, injuries and fatalities are not something that should be taken lightly. If you, a family member or someone you love has been injured at work in Boston or anywhere in Massachusetts, you’re urged to contact an experienced law firm that handles workers’ compensation claims in Massachusetts. For a free consultation with an experienced attorney at the Law Offices of Jeffrey S. Glassman LLC, call 1-877-617-5333 today to discuss your rights.